Wilma Dykeman was an inspirational woman, advocate and author. Her legacy lives on in many of the projects that she held close to her heart, like the French Broad River in the mountains of North Carolina and Tennessee. Dykeman made such a profound impact that the Wilma Dykeman Riverway exists today. Wilma Dykeman was born in 1920 as the only child of Bonnie Cole Dykeman and Willard Dykeman. She fostered a close relationship with both her parents who instilled in her a love for literature and nature. After high school, Wilma attended Biltmore Junior College and went on to graduate in 1940 from Northwestern University with a Bachelor’s degree in speech. Very soon after graduation, Wilma found love and married James Stokely Jr. after just two months of dating. Wilma and James had two sons, Dykeman Stokely and James Stokely III. They maintained homes in both Asheville and Newport. Wilma’s mother, Bonnie, came from a family who had been living in the mountains of North Carolina since the eighteenth century. She herself grew up within the Appalachian culture and an intimate understanding of life in the mountains and by the river. As a child, Wilma took great interest in writing, reading, and acting. As she grew older she used these skills, and the love she had for nature, Appalachia and civil rights to write several fiction and non-fiction novels, and even co-authored a couple of these books with her husband, James. With a degree in speech and a lifetime love of reading a writing, Wilma quickly excelled as an author. Her first published pieces included short stories and articles that were published in Harper’s the New York Times Magazine and Reader’s Digest. She and her husband James authored Seeds of Southern Change which discussed racial relations, Prophet of Plenty and Neither Black Nor White, which provided their personal views of racial integration in the South. 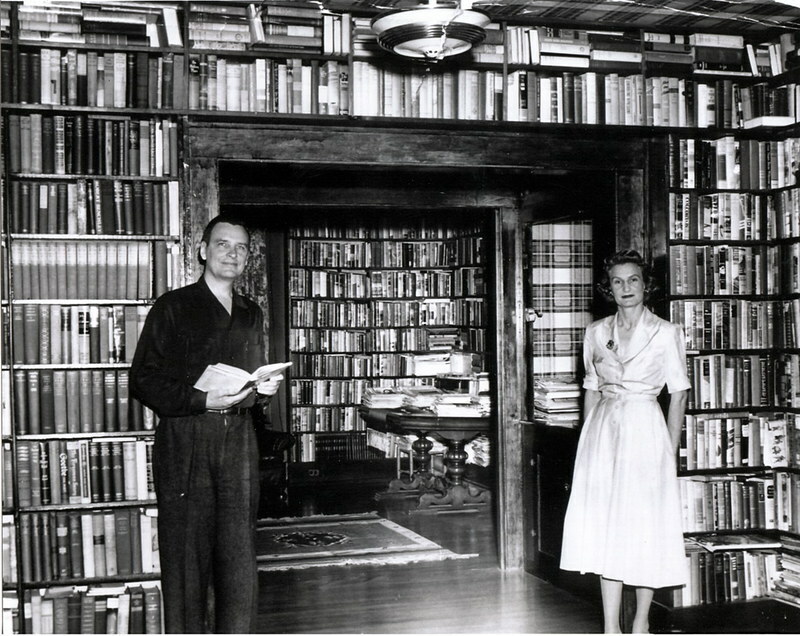 In her lifetime, Wilma published a total of 16 novels. One of her most valued pieces was “The French Broad” published in the “Rivers of America” series. This piece provided Wilma’s personal experiences and observations of life in the mountain region as well as the history and economics of the mountains and river region. Another of her novels, The Tall Woman, further demonstrated her understanding of the mountain and Appalachian culture. Wilma’s passion for civil rights and for the Appalachian culture fueled a successful literary career that gained her great statewide and even national attention. Wilma’s literature and passion gained attention from many leading politicians and earned her several awards and considerable accomplishments. She received the Guggenheim Fellowship as well as the 1985 North Carolina Award for Literature. She was later given the title of Tennessee State Historian from 1981 until her death in 2006. Wilma was a wonderful speaker and professor and the University of Tennessee where she encouraged students to look at the world critically and to apply their skills diligently. Wilma Dykeman was well known for her advocacy for linkage between economic development and economic protection along the French Broad River. This advocacy inspired the Wilma Dykeman RiverWay Plan. A 20 year project, the Wilma Dykeman Riverway Plan represents a project for the entire French Broad River watershed developed by RiverLink. It consists of a 17-mile greenway that will link the French Broad and Swannoanoa Rivers into a continuous greenway with walking and biking trails. The RiverWay Plan will address development zones as well as further revitalize what the river has to offer in terms of arts and crafts, wellness, recreation and for business development. RiverLink has raised over $250,000 to develop the Wilma Dykeman RiverWay Plan from various entities and received a $600,000 grant from the Federal Highway Administration. 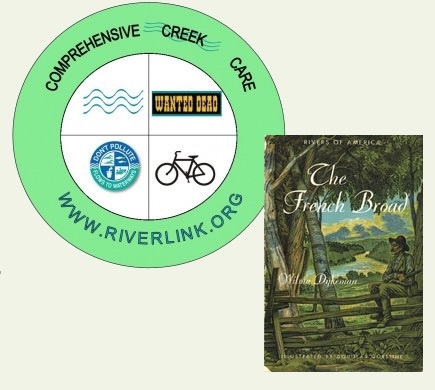 The rebirth of the French Broad River is something Wilma Dykeman would have loved to see. Her passion for the culture, the river, and the entire area in which she was raised was evident to everyone who knew her. She inspired many to embrace this vision and to collaborate for the linkage between economic development and economic protection of the river. These two elements have become reality with the Wilma Dykeman RiverWay Plan.